We all like to groom our self, wear new clothes, plenty of jewelleries and look up to new trends. People like changing their appearances such as hair, dressing style and even their vehicles. The same applies to changing the home decorations. It is difficult to put all your attention to one thing at the same time. This applies for decorations as well. With the change of technology and time there are many new houses decorates or inventions that are been produced. There is always something new in the market relating to home refurbishing or home decorations. However, there are few modern home decoration ideas that we all should be updated about. Play with the colours and furniture’s. The most common colours that were used in the past to paint houses were yellow, grey cream and so on. Therefore, people could match wooden based furniture’s according to the colours of their walls. The trend at present however is to mix and match colours. The houses are painted usually with plain white entirely matching it with a set of white painted furniture’s. This gives a house a more of a future house look. Another trend is to go for a blast of colours such as red, orange, blue and match furniture which are fabricated with multiple colours. Change the looks of each room according to the need. Each room in the house should be different to one another. Special focus should be on to the bathrooms and the rooms. There are plenty of custom bathroom design ideas online and in magazines. 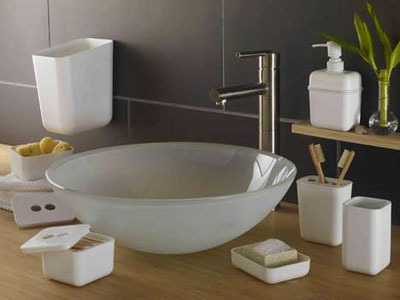 You can select one of those modern ideas and design your bathrooms accordingly. Few new bathroom designs for a guest’s bathroom is to place a stone wall where water can flow. This would give a feeling of having a shower from a water fall. You can also place a shower which is adjacent to an open deck. The bedrooms should be customized according to the person living in the roof. if it is your son then you can decorate the room walls with some portraits of pop artists and linen bedsheets. Extra fittings to the house. The most popular modern house decorative at present is a roof deck. Anyone can fix an extra roof deck to their homes. But you need to make sure that the deck is constructed in a safe manner. You can have a room which opens to the roof deck or a hallway with large images or portraits which leads to the roof deck. Contrast the furniture in the roof deck from the furniture inside the house. You can have curvy wooden furniture with few woven arm chairs.